Today's post is about my personal favorite products that I have tried during 2015. Most of the products I will mention are considered "highend" as they are a bit on the pricey side. The products are not necessary everyone's favourite, I just liked them and thought they are worth the try. The first product is the Hourglass palette which contains 6 mini powder products from their line. It includes 3 highlighters/powders, 2 blushers and 1 bronzer. Yes, the palette is too small for the price, but I personally like it because I thought it would be a great introduction to the brand as Hourglass products are expensive. The second product is/are the Makeup Forever eyeshadows in general. 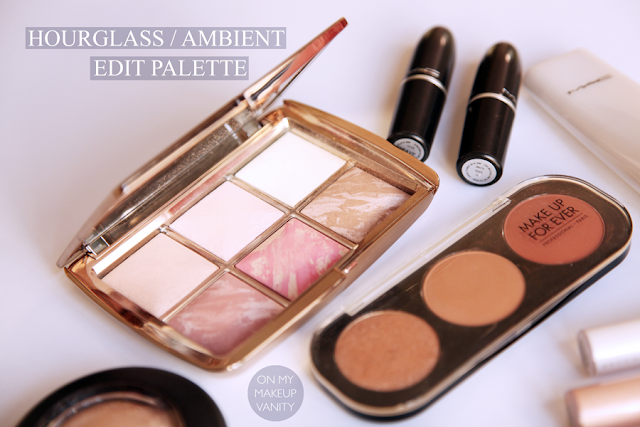 They have a wide range of shades and finishes, and one shadows costs around AED 80. What I love about their shadows is that we can choose the shades we want and then create our own palette of 2 or 3 shades, or even just put them in an empty palette from another brand. The pan size of the shadows is so much bigger than MAC or Makeup Geek shadows, so they are worth the money. The formula of the shadows is great! 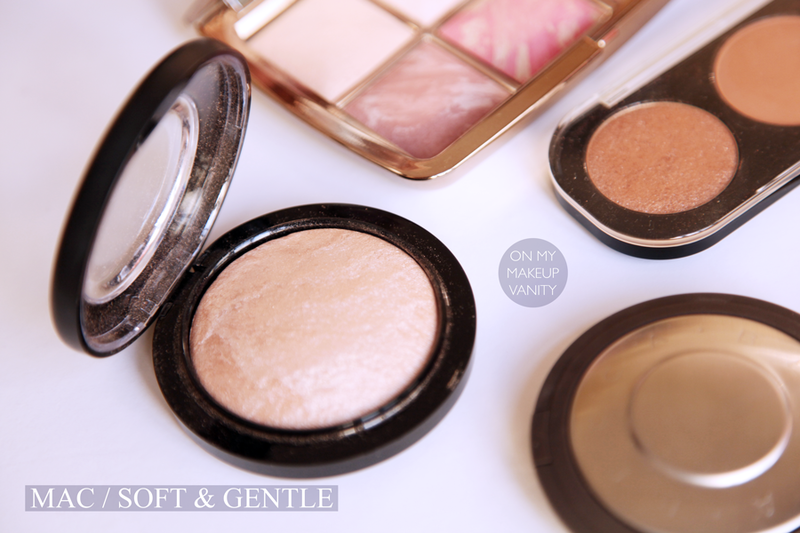 They are creamy and pigmented, and easy to work with. 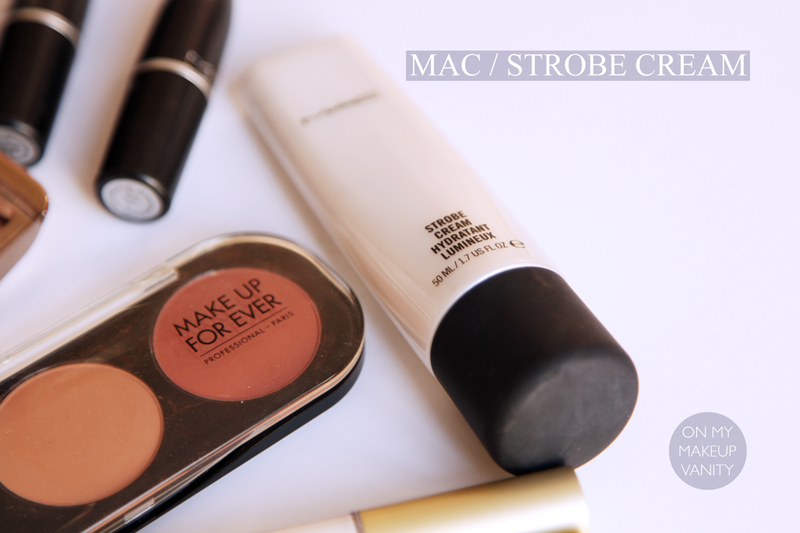 The third product is MAC's strobe cream. For my combination/oily skin, this works great as an illuminator and a moisturizer. 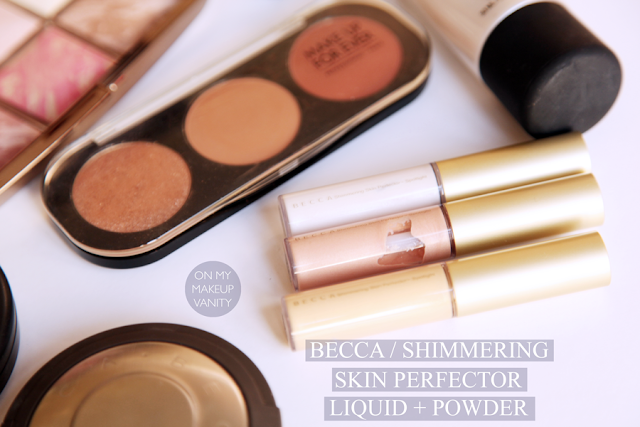 It gives a nice glow when applied before foundation, and hydrates the skin really well. It is also perfect for people with dry skin. The fourth and fifth products are from the same brand, Becca, and are both highlighters. However, one is in the liquid formula, and the other is in the pressed/powder formula. In the picture below, you can see that I have included 3 of the liquid highlighters, all in the mini size. These were a limited edition holiday set from last year, but if you want to try the mini size before buying the full size, Becca does different sets every now and then, or at least around the holidays time. I love the liquid version of the highlighters because you can barely see any glitter in it! They are so pretty and give a nice sheen to the skin. 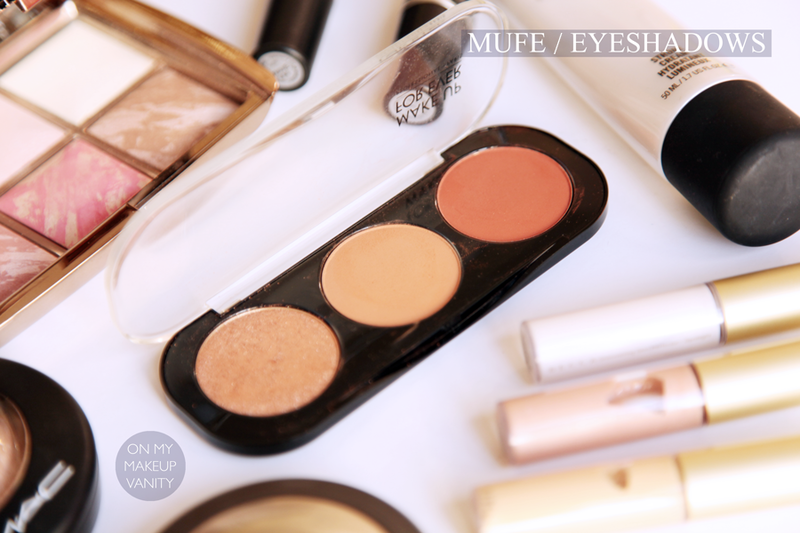 You can apply them before or after foundation, or even mix them with your foundation. As for the powder formula, I only have it the limited edition shade called Champagne Pop. This shade has slightly more glitter in it than the liquid version, but it is still very pretty and wearable. The powder version has an amazing formula as well; it is very buttery and has great pigmentation. Compared to the famous Soft and Gentle (S&G) highlighter from MAC, this one has far less glitter in it than S&G. Champagne Pop (CP) is also more of a champagne peachy golden shade, while S&G is more of a pinky shade and has more clear glitter than CP (not too pinky or glittery though, just when compared to CP). Keep in mind that this is how I can describe the shades against MY skin tone. You can google images of the highlighters' swatches comparison. The sixth product is MAC's famous S&G highlighter. I have heard so much about it, but every time I go to buy it, I change my mind. I finally decided to get it while I was on holiday and I don't regret it at all. I mentioned earlier that it has fine glitter in it, but it still looks pretty, especially when applied with a small brush rather than just a fan brush. 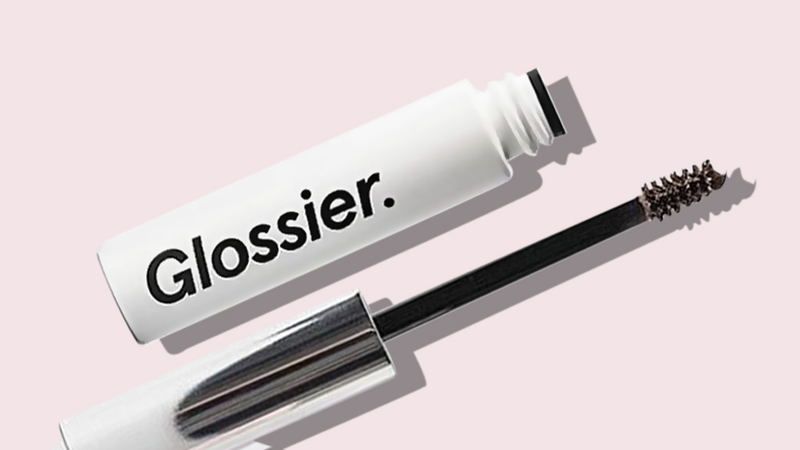 The glitter fades off when it is blended, but if you are not used to intense highlighters maybe just keep this one for special occasions or night time looks. 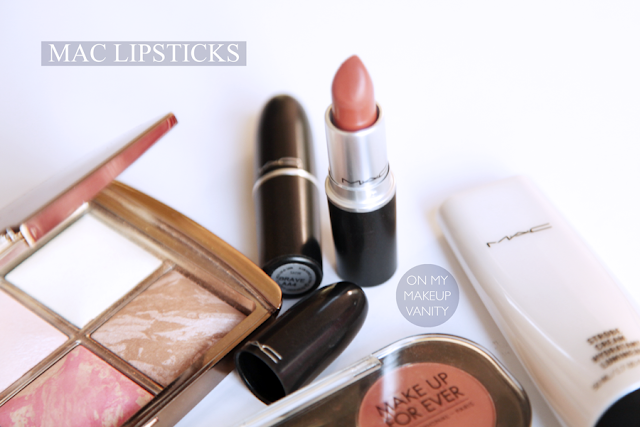 The last product is/are MAC matte and stain lipsticks in general. Everyone loves MAC lipsticks and raves about them, but during 2015 I found that the finishes that work best for me are satin and matte. They have good pigmentation, are not drying, and are prefect for occasions or everyday use. One drawback that I find annoying with them is that the color doesn't last for too long. Thats it for my Highend favorites for 2015. 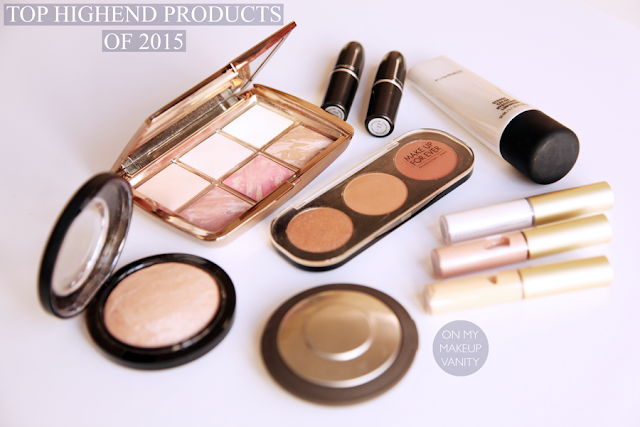 All products mentioned are part of my 2015 favorites, which will go up by the end of the year.